January 2016 – OK, Fine. Comedian Ross Everett released his political parody of NWA’s Straight Outta Compton called Straight Outta Options, according to Huffington Post. Parodied presidential candidates take turns rapping on why they are (or are not) a great fit for the Presidency in true NWA fashion. Alongside Everett, the video also features other prominent YouTubers as cast members. On Monday, President Obama announced a ban on solitary confinement for juvenile offenders in the federal prison system. He said that it is overused and has the potential for devastating psychological consequences. On the same day, an op-ed was published in The Washington Post by The President on the subject of solitary confinement. The op-ed appeared in the Tuesday edition of the Post. This website recommends former governor Martin O’Malley for president, and cites his strong record as governor of Maryland for proof of his ability to get laws passed. Anyone with liberal political leanings should be aware of his record. While O’Malley was in office, Maryland raised their minimum wage to $10.10 an hour. Under his stewardship, Maryland passed some of the nation’s toughest gun laws, the Maryland Firearms Safety Act of 2013. O’Malley also repealed the death penalty, and closed the Maryland House of Correction in the town of Jessup, a notoriously violent maximum-security prison facility. O’Malley has stated he is not afraid to hike the gas tax and has championed climate change legislation. He legalized gay marriage in Maryland before the Supreme Court decision to legalize it nationwide. O’Malley also approved in-state college tuition for illegal immigrants. He signed a bill that decriminalizes the possession of small amounts of recreational marijuana and legalized medical marijuana. Under O’Malley, Maryland instituted all-payer healthcare rate setting, which ensures that all insurance companies pay the same rate for the same service at a hospital. The model limits the growth in hospital spending per capita to growth in the state’s economy. This helps Maryland keep the costs of healthcare down. Most of the arguments against O’Malley are not substantive. They are similar to arguments made against Al Gore, such as “he’s too polished” (compared to Bernie Sanders). However, others believe he is “not polished enough” (compared to other politicians like Hillary Clinton), or that he isn’t “exciting enough.” These arguments don’t hold water, as his record speaks for itself. Are There Animal Gas Chambers In The U.S.? Earlier this month, Branch County Michigan voted unanimously to tackle the issue of their animal gas chambers, according to wwmt.com. It was flooded with calls from animal lovers all over the country to shut down a gas chamber used to euthanize cats and dogs. Animal advocates are saying the gas chamber is outdated and inhumane and they want animal control to do away with it for good. Commissioners voted on the issue of the gas chambers earlier in January. Commissioner Rod Olney said it should be a quick vote and that everyone’s on board to get rid of it. According to animalsheltering.org, several states still use gas chambers to euthanize animals. Wikipedia states that Broward Health – formerly the North Broward Hospital District – is one of the 10 largesthealth systems in the U.S., and it is located in Broward County, Florida. On Saturday, Nabil El Sanadi, president and CEO of Broward Health and its chief of emergency medicine, shot and killed himself at his Lauderdale-by-the-Sea condominium building, said the Broward Sheriff’s Office. Broward Health Board Chairman David DiPietro confirmed the death late Saturday. El Sanadi, an Egyptian immigrant, was appointed to Broward Health’s leadership position in December 2014, according to the Sun Sentinel newspaper. He often spoke out about social issues in the county, including the recent scourge of the synthetic drug flakka. Bangkok, 10 Oct 2011 (EFE) (Camera: Gaspar Ruiz-Canela).- The cruel history of torture and the evolution of the death penalty in Thailand are the focus of a museum in a old Bangkok prison, in what is an informative guide to penitentiary life and forms of punishment. FOUR Thai students opposed to the military junta, including one snatched off the street at night, were charged yesterday with gathering publicly for political purposes. The four members of the New Democracy Movement were taken to a military court yesterday to be charged under orders banning groups of five or more people from such activity. 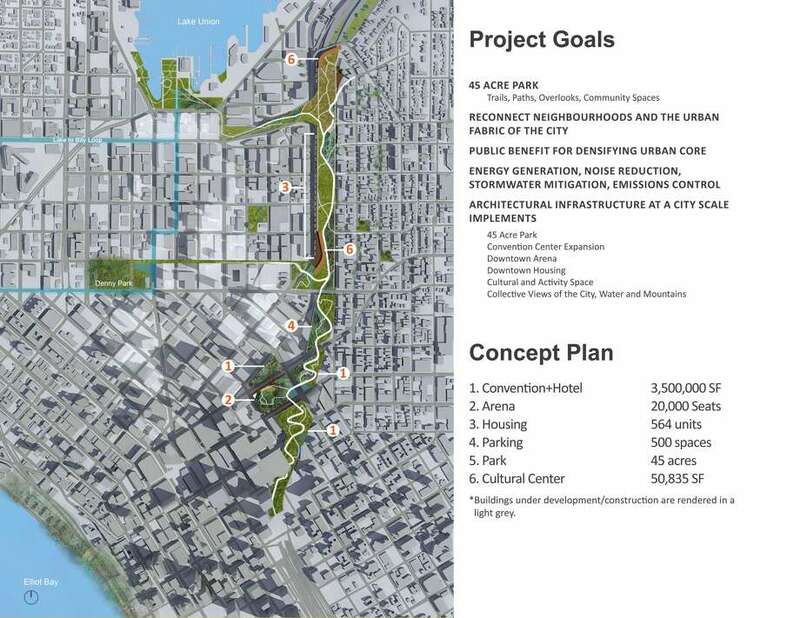 Recently, greatergreaterwashington.org reported that a Seattle architect would like to build a park as a “lid” over the I-5 freeway “trench” that cuts through the heart of Seattle. He thinks it should happen now because the city is “booming,” though it could cost billions. Architect Chris Patano always looked at I-5 as a massive scar that cut the city in half. Since last spring, his firm has developed a proposal for a 45-acre park that would serve as a roof above the freeway, with a convention center, a hotel, and an arena. In his proposal, there’s room for parking, affordable housing, and nearly 300,000 feet of office space. According to thestranger.com, parks have already been built above freeways in other places, including Dallas, Duluth, and Columbus, and Seattle has actually done it before – over another freeway, the I-90.